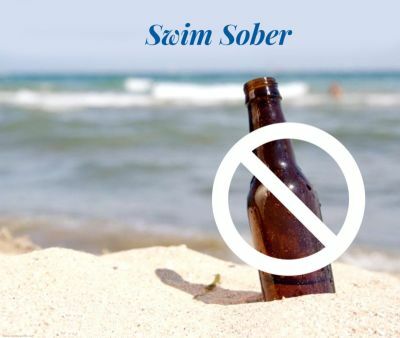 Don't drink and swim! Relaxing in the water is a great way to spend the summer, but adding alcohol to the mix is fraught with danger, doctors are warning. Some of he most beautiful sites of Rhodes are hidden in the mountain villages, far from the cosmopolitan settlements along the shore. The villages of Embonas, Kritinia, Profillia, Monolithos, Agios Isidoros, Laerma, Mesanagros, Arnitha, Siana, Psinthos, Salako and Agia Eleousa preserve the native color of the Rhodian countryside with old castles, churches and beautiful buildings. In small tavernas you will find traditional island dishes. In the old cellars of the mountain villages you will sample the same Rhodian wine which used to travel to all the shores of the southeasern Mediterranean. Apollona village acquired its name from the Temple of God Apollo who was the protector of Rhodes Island and fine arts at the time. In the southern part of Rhodes and not too far from the rapidly developing resort of Kiotari, visitors can find the small village of Asklipio. It features a superb Byzantine church and a medieval castle to offer as sights to its visitors. Kalavarda is a picturesque village built near the ruins of ancient Kamiros, around 800m from the beach. It is located about 30km from the capital of the island and 15km from the airport. The village of Kalithies offers narrow alleys and numerous monuments. Kalithies, which is located on the north-west part of the island, 15Km from the city of Rhodes, belongs to the municipality of Kalithea, along with the villages of Koskinou and Psinthos. Kattavia is an attractive farming village with a few old houses and a picturesque village square. It is popular with surfers since Kattavia is the village closest to Prasonisi, so it is no wonder that the few rooms available for rent are usually occupied by them. House doors painted in vivid colors, made of wood or iron, with carved or etched designs. Little gardens with their cobbled floors hidden behind the courtyard doors. Koskinou in Rhodes is famous for its unique mosaic of colours. The village of Pylona (Pilona) is situated 5 kilometres from the village of Kalathos and 46 kilometers southeast of the city of Rhodes. The name Pylóna comes from the name "pyli" which means "portal", as it used to be the portal of the south of Rhodes. Apolakkia lies in the hinterland, following the road from Gennadi to Vati. At the village square you will find one of the most beautiful buildings in the region, a classic sample of Italian architecture dating from the times of the Italian rule of the island. Arnitha is a small picturesque village hidden amongst hills, on the left on the way from Gennadi to Apolakkia. It is in keeping with a small Dodecanese village with small white houses and is characterized as a traditional settlement. Situated in the shadow of the mountain of Profitis Ilias, Dimilia is surrounded by a scenic and picturesque environment. Thanks to it's proximity to Eleousa village, both share the same lush greenery. They also share the same high quality of life, at a slow and relaxing pace. Westwards, along the coast road of Rhodes is the village of Fanes, just west of Soroni, featuring a picturesque harbor and a flat, isolated beach with tamarisk trees for some natural shade. Ialysos is the second-largest town on the island of Rhodes, located on the island's north-western coast. Just a few kilometers from Profilia lies the village of Istrios. Istrios is a small and picturesque village where you can find a big restful square which shows its friendly and hospitable face to visitors. Although Kiorari has grown very much over the last years along an impressive vast beach, it does not yet suffer from the same tourist saturation which has unfortunately marred too many of the other traditional resorts on Rhodes. Mandriko is situated on the western coast between Kalavarda and Kamiros Scala. It is a small village which produces almost 1/3 of all vegetables for the whole island, and from the road passing through, you can make out a large number of green houses and agricultural fields. Leaving Lachania and driving through a marvelous route, you will find Mesanagros. Messanagros is a traditional village hidden between the mountains. One of the more traditionally modern villages on the island, Pastida is located slightly inland on the west coast of Rhodes. It is shadowed by the mountain of Filerimos, and its name in Latin means Castle. Soroni, which is the capital of the municipality of Kamiros, is a small village on the northwest coast of the island of Rhodes. Here, the most popular religious festival on the island is held at the chapel Aghios Soulas, which is located outside the village, on the chapels saints day, every 29th and 30th of July. Agios Isidoros, a mountainous village 65 km from Rhodes town, with a height of 532 m is built on the eastern slopes of Mt. Attavyros, (Embona village). The village of Trianta, which can be found on the edge of the homonym gulf, has been built on the ancient Doric town of Ialyssos. Like the rest of the area, the village is very social and although it attracts of visitors every year, it has managed to keep its character of a characteristic Rhodian village.